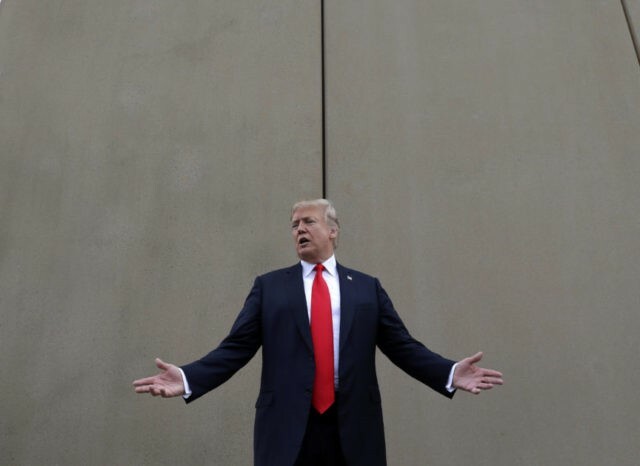 The poll also shows that his supporters, by a wide margin of 95 percent, support Trump building the border wall by declaring a national emergency. Any funding for any kind of structure will allow Trump to claim he kept his central campaign promise. And although Democrats and the media know we need physical structures to protect our border, what is more important to both groups is preventing Trump from keeping that promise. They believe, and not without cause, that the fastest way to defeat Trump in 2020 is to destroy his base of support. Granted, we are a long way off from the 2020 presidential campaign — about 22 months and a thousand news cycles away. A lot can happen between now and then. Meaning, if Trump does not get the wall built, there are plenty of ways for him to rebuild his base of support. But “Build the Wall” is Trump’s “Read My Lips: No New Taxes” pledge. If Trump is unable to keep this promise, the same Democrats and media who worked tirelessly to ensure the wall was not built will gleefully turn around and taunt him for not keeping the promise his entire campaign was built on. To be fair, President George H.W. Bush’s “read my lips” disaster was a little different — a situation where a president broke his defining campaign pledge pro-actively, by signing a tax increase. Trump would never do the equivalent, which would be to sign a bill outlawing a border wall. Nevertheless, Trump will have a difficult time explaining to his supporters why he was unable to build his wall, why he couldn’t work the art of the deal, especially during his first two years as president when Republicans controlled both the Senate and the House of Representatives. Personally, I am holding my fire on the whole “Trump Caved” thing. This is a guy with an endless supply of hats and rabbits.